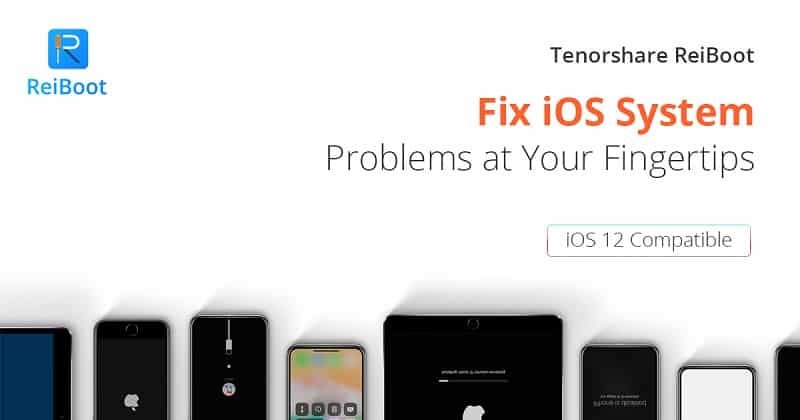 Tenorshare ReiBoot is a wonderful iOS devices boot repair tool which enables you to fix various issues such as recovery mode, white Apple logo, black screen, frozen screen, disabled screen, headphone mode etc., without losing even a single byte of data. Is your iPhone stuck on Apple logo? Does the iPhone not turn on? Has the iPhone screen frozen? Has your iPhone stuck on headphone mode? Do you want to fix iPhone white screen or blue screen of death? Do you want to fix disabled iPhone/iPad without iTunes? Has the iPhone stuck on iOS update? Do you want to get rid of the boot loop? If the answer was yes to all of the above questions or even to a single, Tenorshare ReiBoot is a savior. The software saves your life from various iOS stuck scenarios. The ReiBoot software works for all the iOS devices and supports all iOS versions. Supported iPhone: iPhone XS, iPhone XS Max, iPhone XR, iPhone X, iPhone 8 (Plus), iPhone 7 (Plus), iPhone SE, iPhone 6 (Plus), iPhone 6s (Plus), iPhone 5s/ 5c/ 5, iPhone 4/ 4s. Supported iPad: iPad Pro, iPAd mini 4, iPad mini 3, iPAd mini 2, iPad Air 2, iPad Air, iPad 4. Supported iPod: iPod touch 6, iPod touch 5, iPod touch 4, iPod touch 3, iPod touch 2, iPod touch 1. Though iTunes restore option can be used to downgrade iOS beta, it is a troublesome task. The ReiBoot software, however, comes with a feature that downgrades iOS to the latest version automatically. The software bypasses iTunes restore or backup errors such as error 4013/ 4005 with high success rate. 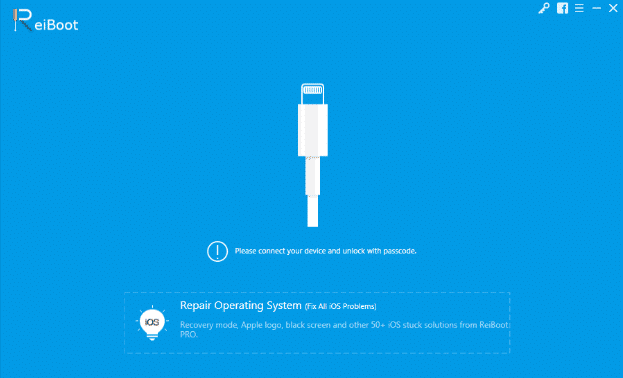 This iOS repairing tool fixes 50+ iOS stuck issues such as iPhone app stuck, iPhone update error, etc. 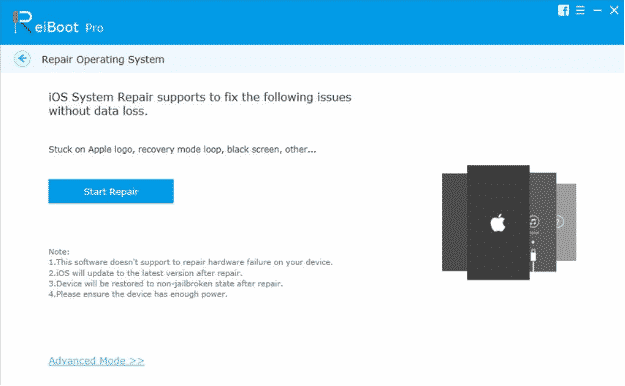 Even if your Apple TV gets stuck on Apple logo, Airplay mode or recovery mode, the ReiBoot software repairs the system and fixes the issues on Apple TV without any data loss. How is the Software Useful? The best way to fix iOS stuck issues such as update stuck, iPhone won’t turn on, Apple logo screen or screen freezing is to put the iPhone into recovery mode. This may be troublesome if the home button is not working properly. 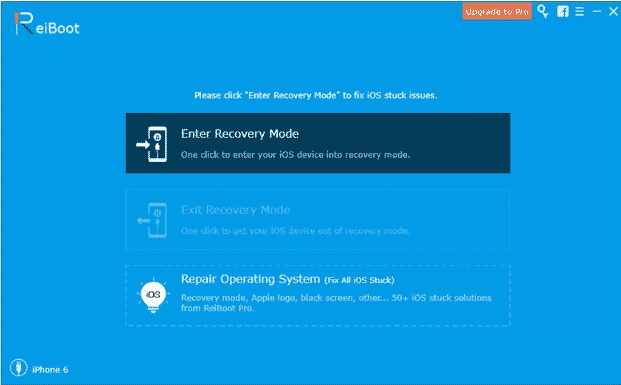 However, the ReiBoot software lets you enter the recovery mode with a single click. Step 1: Download the software and install Tenorshare ReiBoot on your Mac or PC, and launch the program to get started. Step 2: Connect iPhone to the computer and tap ‘Trust’ on iPhone. Step 3: Once the software detects your iOS device, click ‘Enter Recovery Mode’ from the main interface. The phone will then enter into the recovery mode. If your iPhone gets stuck in the recovery mode after the restore, jailbreak or software update, you may use iTunes to restore iPhone to factory settings but this may result in data loss on your device. 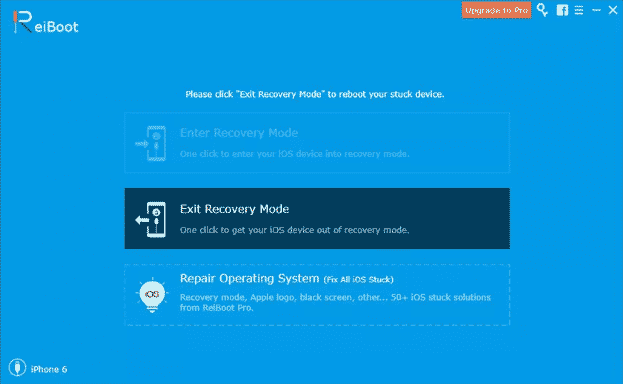 The Tenorshare ReiBoot software is a convenient and easy way to exit iPhone recovery mode without losing any data. Step 1: Download and install Tenorshare ReiBoot software on your PC or Mac. Step 2: After that, connect the iPhone to the computer. Step 3: Select the ‘Exit Recovery Mode’ to reboot the iPhone. Though iOS is an excellent mobile operating system, it may come across certain troubles such as stuck issues after the software update, jailbreak or physical damage. 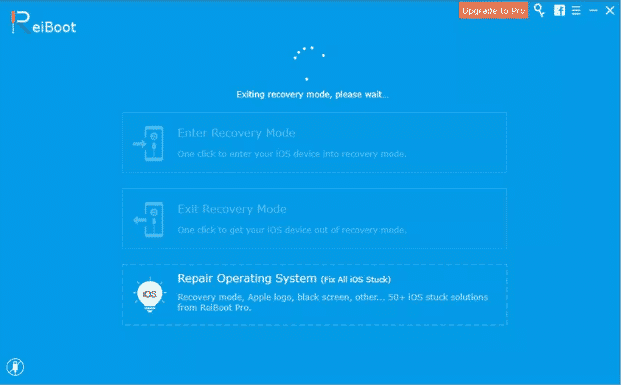 The recovery mode or reboot may be used to fix these problems but ReiBoot software is a better choice. 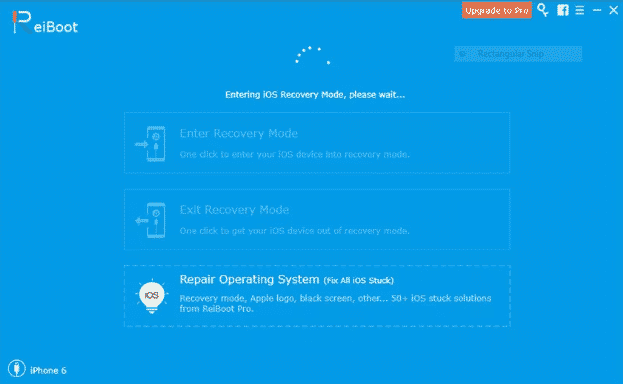 ReiBoot as an iOS system recovery tool which can make iOS device to get rid of the issues within 10 minutes, and support Apple iPhone restore screen. Step 1: Download and install the software on your PC or MAC and click ‘Repair Operating System’ once the device is recognized. Step 2: Click ‘Start Repair’ on the interface that appears once the device is detected. Step 3: After this, you will enter the firmware download screen. 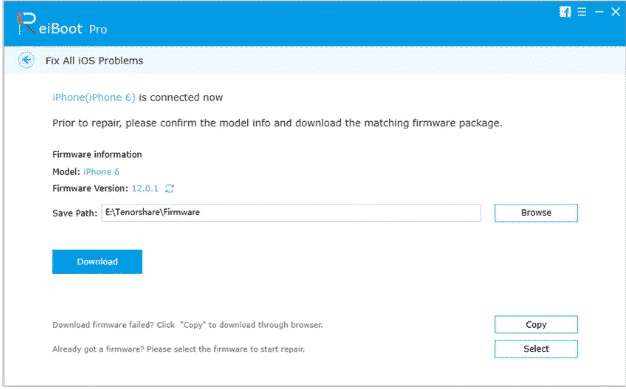 Click ‘Browse’ and set a path where you want the firmware to be saved. Click the ‘Download’ button and wait for the iOS 12 firmware package to be downloaded. If the download fails, you can click ‘Copy’ to download it through the browser or if you have already downloaded the firmware, click ‘Select’ to import it manually. 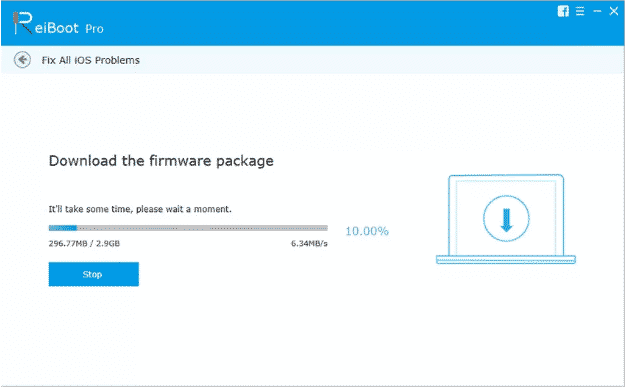 Downloading the firmware package may take time since it is 2.9 GB. 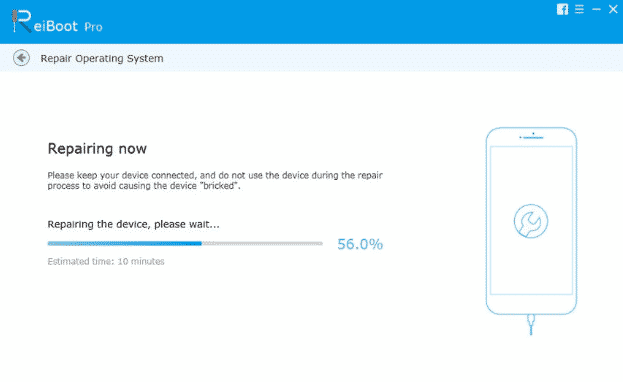 Step 4: Once the firmware package is downloaded, click ‘Start Repair’ to start system recovery. The process will take around 10 minutes. Once the device is repaired, it will boot up as normal. When the repair is finished, click ‘Done’. 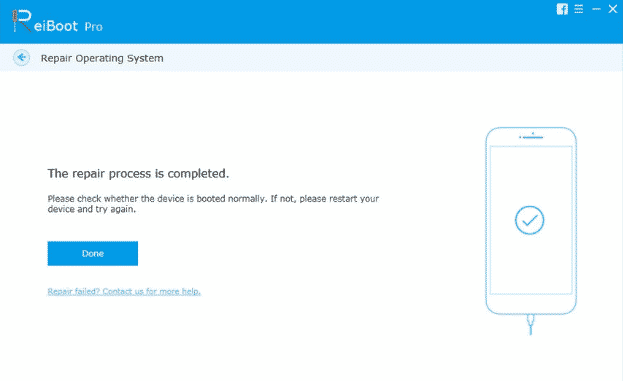 It is to be taken care that the device remains connected to the system and that it is not used during the repair process, otherwise it may be bricked. The Tenorshare ReiBoot software is an excellent software and fixes your iOS issues without any data loss. It is even compatible with the newest iPhone XS/ XS Max/ XR. Its streamlined and straightforward interface feels like a merciful touch. There could be no better and easier way to fix iPhone stuck issues.